Abu Dhabi: Abu Dhabi Municipality (ADM) has called upon residents not to leave their vehicles unattended and covered with dust for extended periods in residential areas as they are an eyesore and pollute the environment. The municipality urged residents to help promote social responsibility and support its efforts to maintain the city’s general appearance. Cars covered with dust deface the appearance of the city, cause environmental pollution and are a public health hazard, ADM said. The municipality said when its inspection teams spot a neglected car, they would issue a three-day warning letter. If the abandoned vehicle is not cleaned or moved thereafter, a ticket will be issued and the vehicle will be towed away to the impounding area. Once a vehicle is towed away, an SMS will be sent to the owner, stating the time of impoundment and the area to which the vehicle is taken to. It said the grace period for all seized vehicles on account of negligence has been increased from seven to 30 days, starting from the date of impoundment. 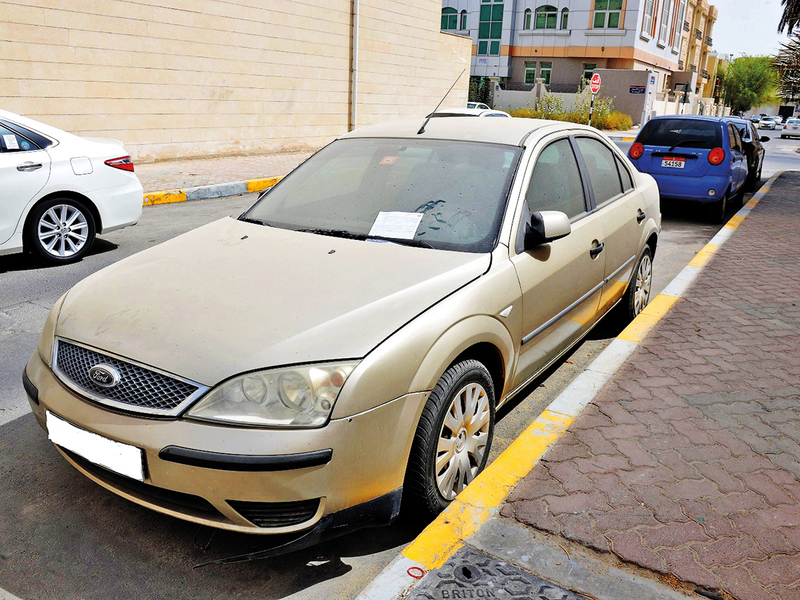 During this time, owners of these vehicles can get back their cars by paying half of the fine — Dh1,500 instead of Dh3,000.